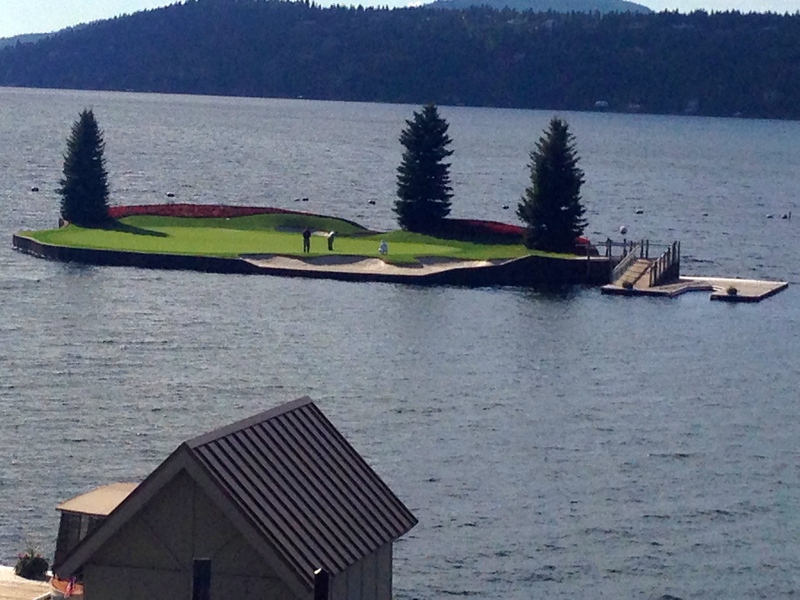 Idaho’s famous Floating Green is like no other hole in golf. COEUR D’ALENE, Idaho — The Floating Green is a gimmicky thing, but it brought the desired attention to Lake Coeur d’Alene Resort. It was envisioned by Duane Hagadone in 1991, when the first ball was struck toward this movable putting surface. The 6,803-yard course was designed by Scott Miller but No. 14 is the hole that put the course on the global map. The tee doesn’t move – there are five tee placements, allowing the hole to play anywhere from 95 to 218 yards –but the green does. It’s a man-made, 15,000-square foot island green that changes location. It gets further from the tee as the season goes on because the depth of the water changes. 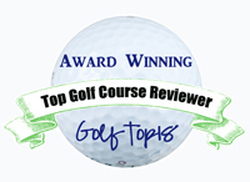 The “putter’’ boat takes golfers from the tee to the green and back. Wish I could have played this famous hole, but time constraints prevented that. Still, checking it out was well worth the visit. Arguably the most unusual hole in all of golf will celebrate its 25th year in 2016 by getting a re-grassing. The course had its conditioning problems recently, with a staff member informing me that six of the greens were lost during the season. He said that No. 14 is likely the best on the course, but all 18 will be re-grassed shortly after the course is closed on Oct. 17 – two weeks earlier than usual. 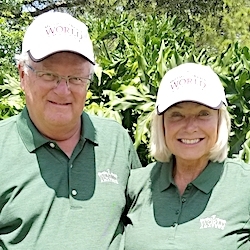 It’s hard to look past the Floating Green – after all, the road leading past the gate house to the clubhouse is Floating Green Drive – but the course has more attractions than that. It has lake views on every hole and 1,500 wild flowers also spice up the viewing experience.